Happy Birthday to Lu the Hippo! Lu became the oldest hippo in North America on Monday after he turned 59 years old. He has called the Homosassa Springs Wildlife State Park home for more than five decades. 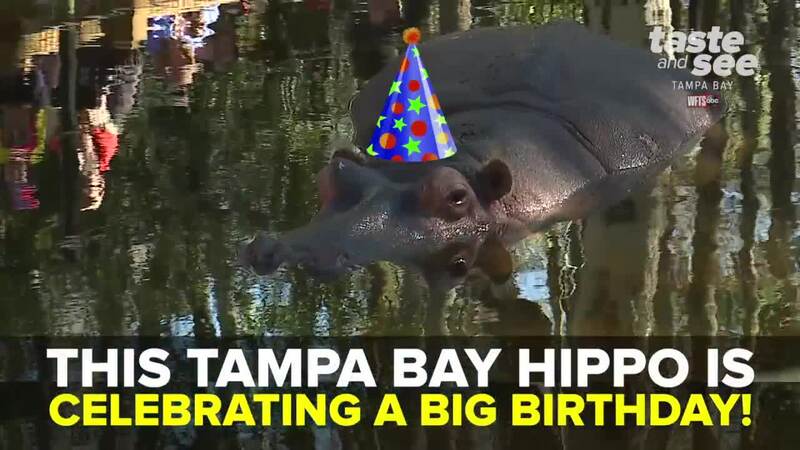 HOMOSASSA, Fla. — Happy Birthday to Lu the Hippo! Lu became the oldest hippo in North America on Monday after he turned 59 years old. He has called the Ellie Schiller Homosassa Springs Wildlife State Park home for more than five decades. The hippo received a card and birthday cake to celebrate the major milestone. Let's cheers to many more birthdays to come, Lu!